What Do You Know about CO2 Laser Cutting Machine? The laser cutting machine has stepping into our daily life and can be applied to many industrial. And CO2 laser cutting machine is the most common laser cutting machine. If you still don’t know what is CO2 laser cutting machine, then you should read this article carefully. 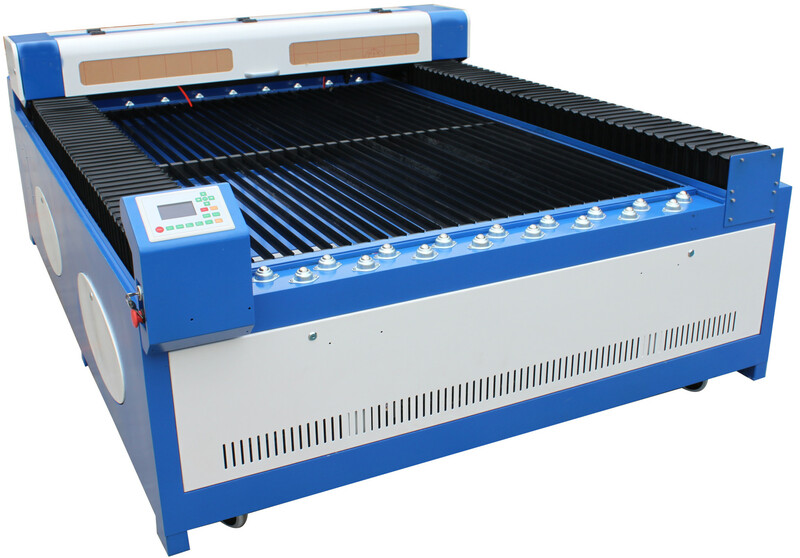 A CO2 laser cutting machine is a type of gas laser cutting machine. In this device, electricity is run through a gas-filled tube, producing light. The ends of the tube are mirrors; one of which is fully reflective and the other which lets some light through. The gas mixture is generally comprised of carbon dioxide, nitrogen, hydrogen and helium. Light produced by CO2 lasers is invisible, falling in the far infrared range of the light spectrum. CO2 laser cutting machine presents certain advantages as this process is more precise and uses less energy when cutting steel and aluminium sheets. In addition, our latest CO2 laser cutting machine in their ability to cut through thick materials. Laser cutting machine is a fantastic tool, and it can be used for many kinds of materials. Welcome to contact us if you want to buy one. With the development of science and technology, related equipment of garment industry evolves so that efficiency is also improved a lot Co2 Laser Cutting Machine is now universally used in garment industry.